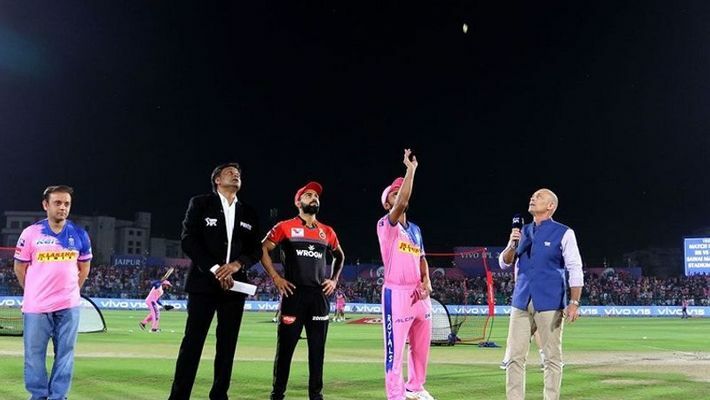 Bengaluru: The match 14 of the Indian Premier League (IPL 2019) will be a battle between the Rajasthan Royals (RR) and Royal Challengers Bangalore (RCB) at the Sawai Mansingh Stadium in Jaipur on Tuesday (April 2). With few minutes left for the match to begin, Rajasthan Royals won the toss and chose to bowl. Though this would be the first match between the two this season, both teams are in a similar situation, having lost all three of their matches. While RCB had one of their worst starts of IPL campaign this season as they were bundled out for 70 in the opener against Chennai Super Kings (CSK), RR choked at crucial moments in their three matches. In RCB’s previous match against SRH in Hyderabad, they were outclassed as Jonny Bairstow, and David Warner hammered RCB bowlers all over the park. They both hit centuries. This match between the two may not encourage the audience as both the team has not won any previous matchs.